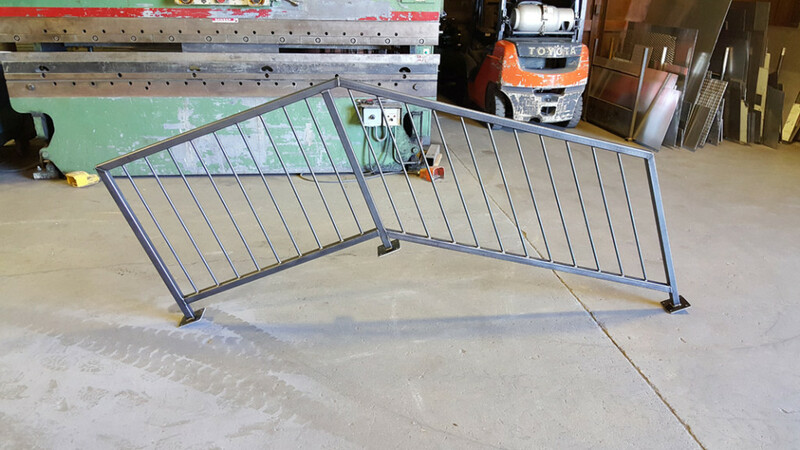 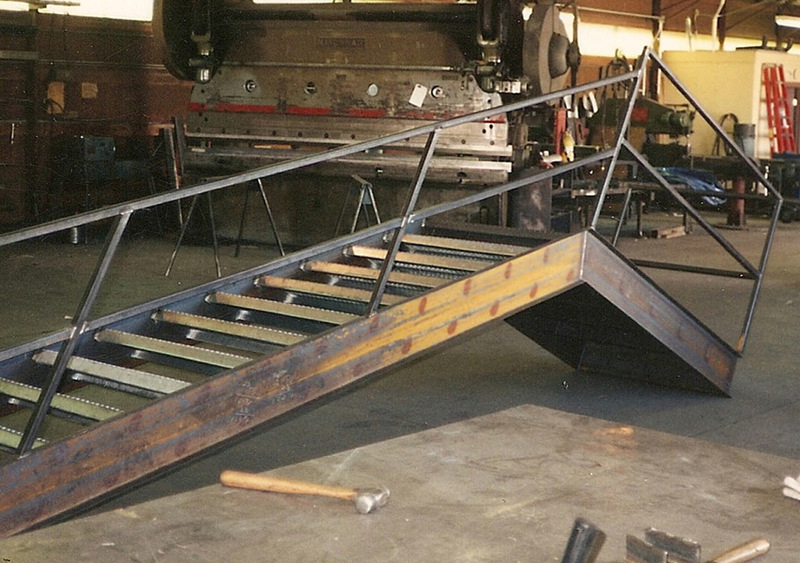 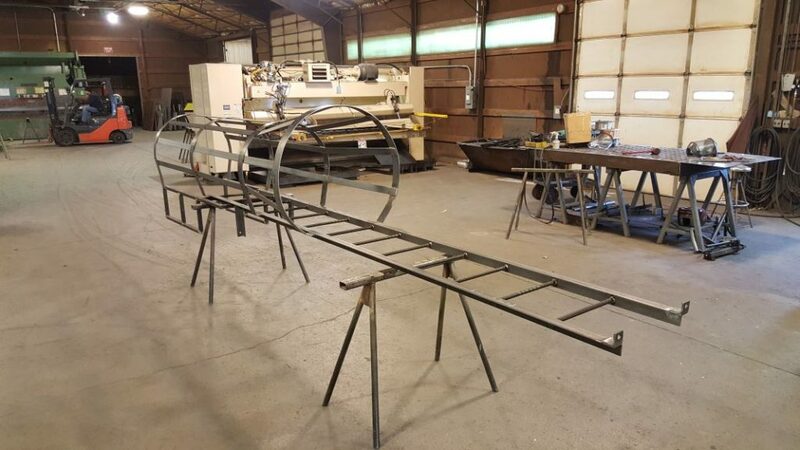 At EleMETAL Fabrication + Machine, we can custom build a wide variety of industrial stairs, ladders, catwalks, landing, ramps and railings from steel, stainless steel, and aluminum. 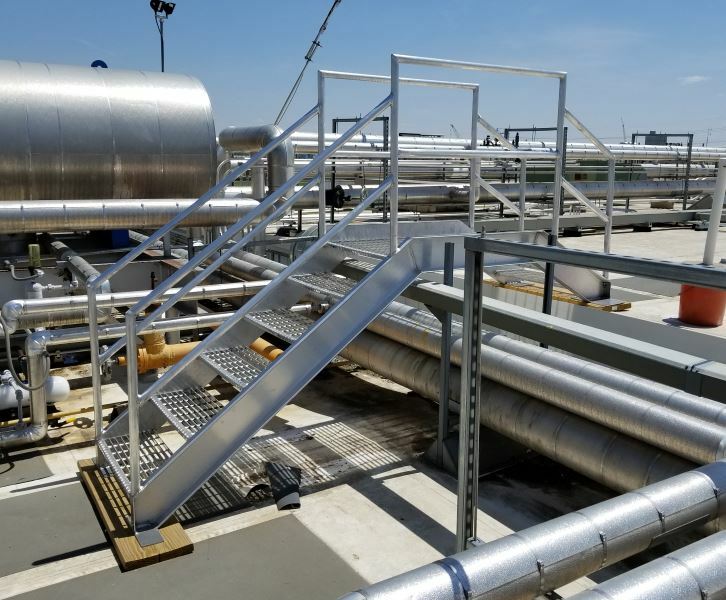 We have access to high-quality industrial painting, powder-coating and hot-dip galvanizing facilities to provide turnkey products that are ready to install. 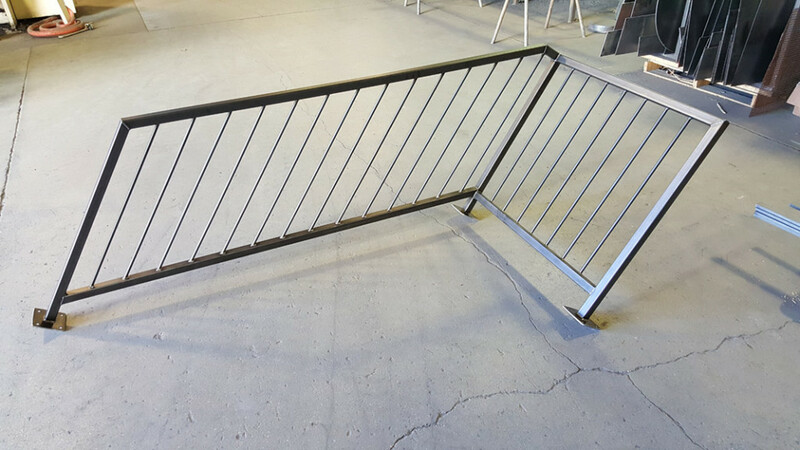 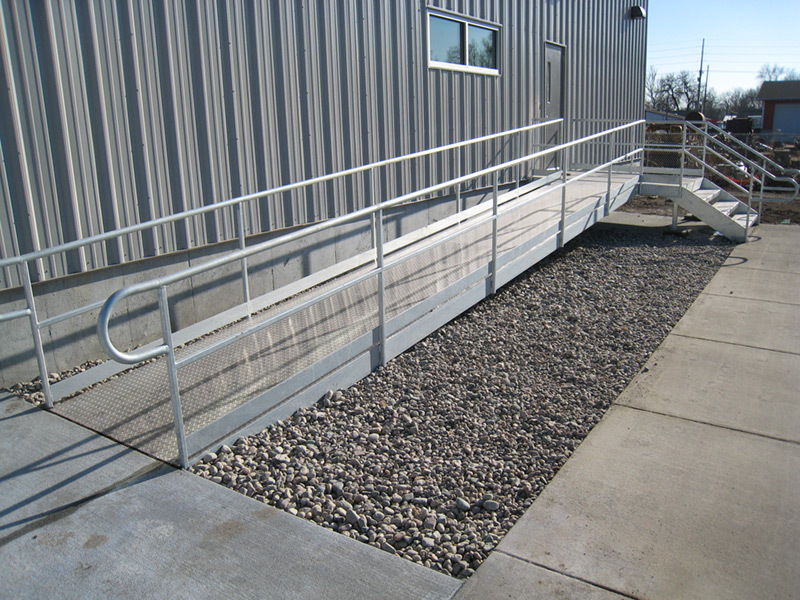 Hot-dip galvanized steel frame handicap ramp, railings and stairs with aluminum diamond plate surface. 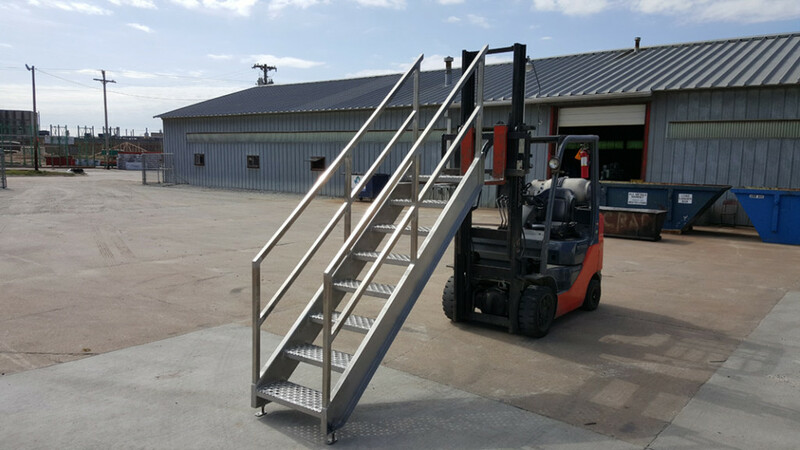 Stainless Steel stairs with square tube handrails and Omni-Grip stainless steel treads. 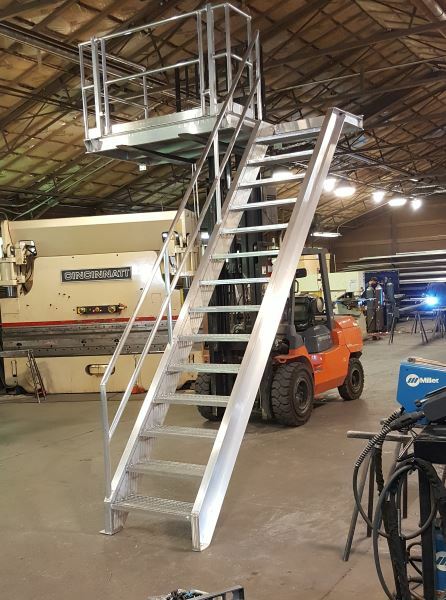 Custom steel ladder with cage for Kelly Klosure Systems. 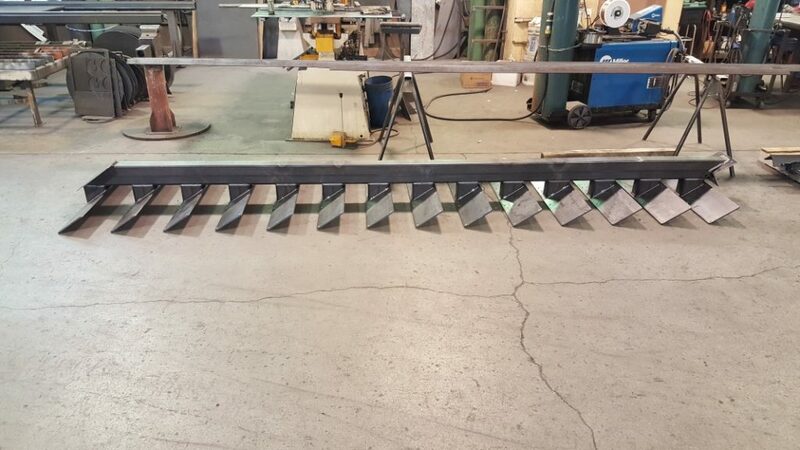 Architectual single stringer stair ready for wood treads to be attached. 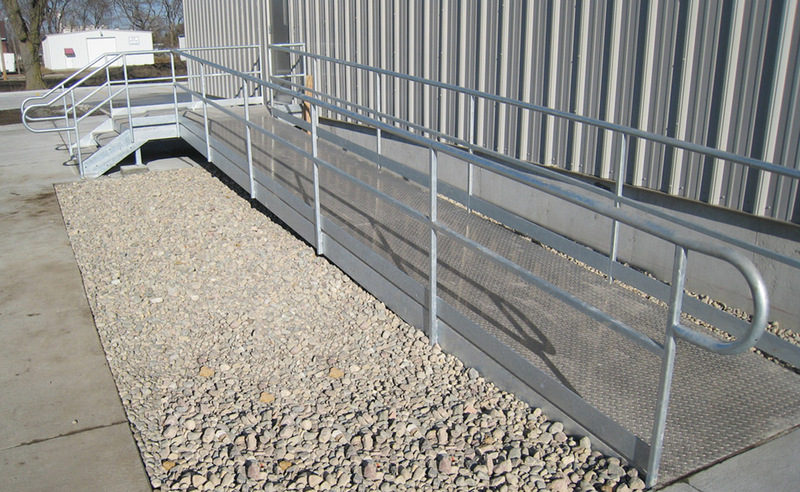 Aluminum cross-over stair for safe access around roof pipe racks. 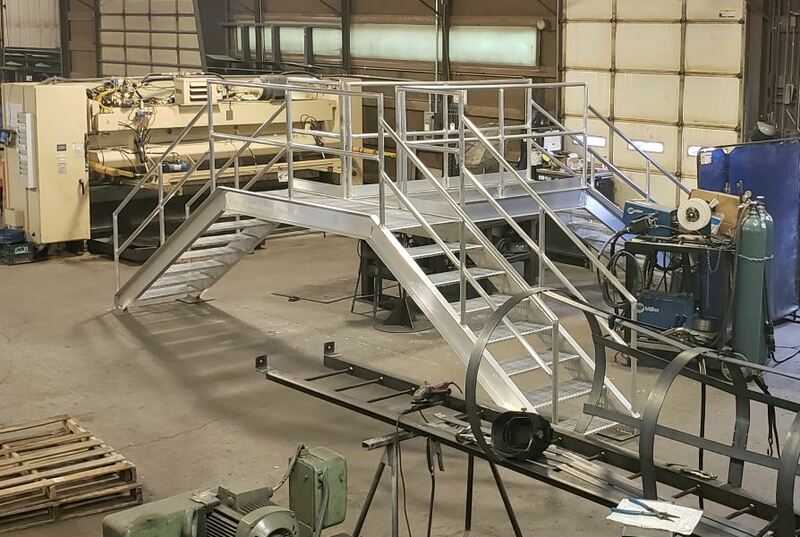 Custom aluminum three-exit stair for safe access around roof pipe racks. 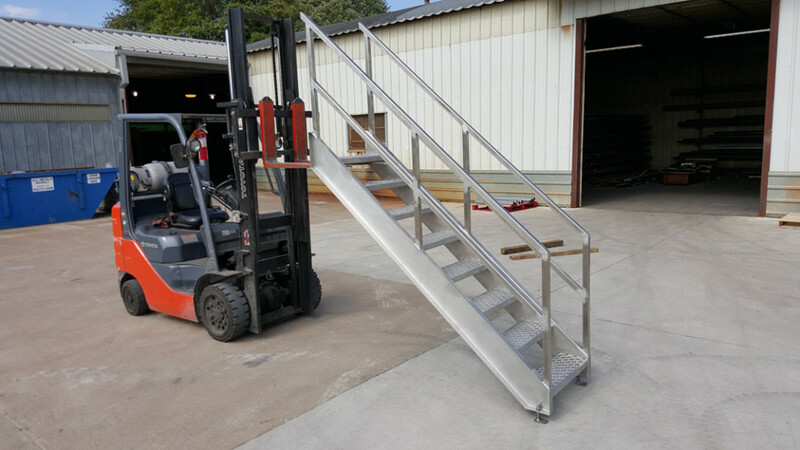 Serrated aluminum bar grate stair and platform for maintenance access to a blast freezer.